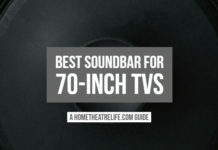 Best Soundbar for 70 inch TVs 2018: What’s the Best Soundbar? Find the best DLNA media server software for streaming media with my comprehensive guide. 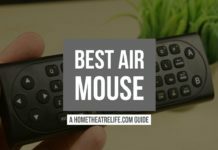 Media is the cornerstone of every good home theatre setup so making sure you’ve got the best DLNA media server at your disposal is important. Over the years, you’ve probably amassed a collection of DVDs, movie files, photos and music. The next logical step is to start streaming media throughout your network and share it across your devices such as your HTPC, Android TV Box, or Smartphone. To do that, you’ll need to get a DLNA media server. There’s a number of home media servers available which will do this either free or economically. However, with all the options out there, it can be a challenge to find the best DLNA server software that meets your needs. We’ve pulled together a handy list of our favorites. If you’re just wanting a quick solution, our pick for the best DLNA media server software of 2019 for most users is PlayOn. Not only does PlayOn allow you to stream media using to DLNA-compatible devices, it’s also the only DLNA media server software to offer strong integration with streaming services like Netflix, YouTube, Hulu and more. You can find more about PlayOn over at their official site. The Digital Living Network Alliance (DLNA) is the name of a non-profit organisation that controls the DLNA certification standard. The DLNA standard establishes how enables networked media devices to share data. This means that using DLNA-compliant devices means that you can easily share media. For example, you can stream music from your PC to your TV. DLNA is often used interchangeably with Universal Plug and Play (UPnP) protocols. However, this is not accurate as DLNA enhanced the UPnP protocol with a focus on media. 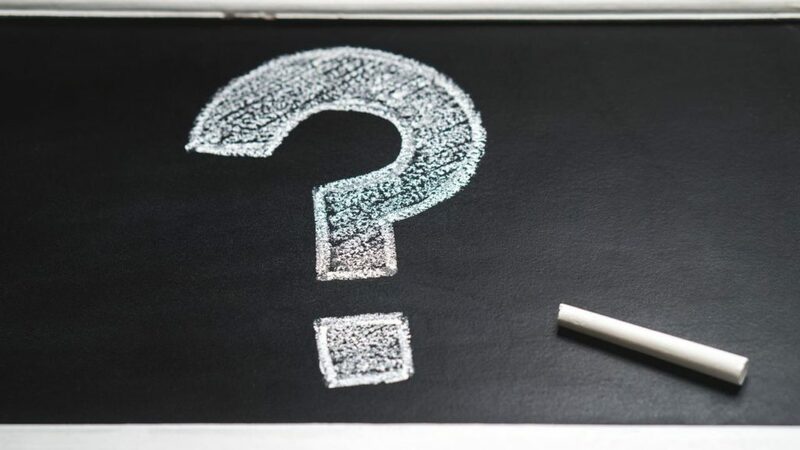 Why Do I Need DLNA Media Server Software? So now that you know about DLNA, you’re probably wondering why you need DLNA media server software. Basically, DLNA media server software lets you to share your movies, music and photos via the DLNA protocol. This means that DLNA compliant devices such as TVs, game consoles and media players can readily playback your media from your home media server over the network easily. DLNA media servers often add additional functionality too, such as scraping metadata like movie covers and transcoding your video files to ensure playback on a wider variety of devices. So what’s the best home media server software out there? Luckily, we’ve pulled together a handy overview to help you pick the right DLNA server for you. PlayOn is easily the most feature-rich DLNA media server available and that’s why it’s made our Best DLNA Media Server Software list. 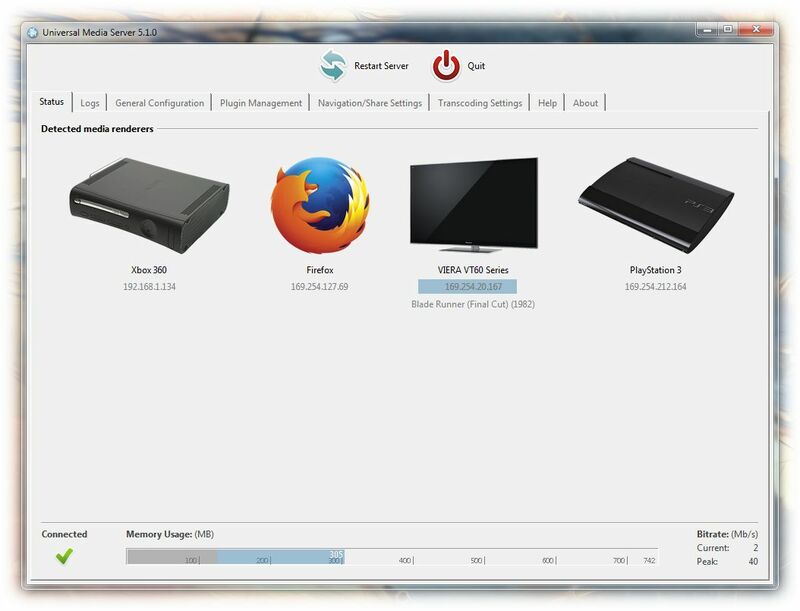 Aside from being able to stream your movies, music and photos from your PC to DLNA-compatible devices, PlayOn’s home media server software can also record from various sources, skip ads from recordings and more. 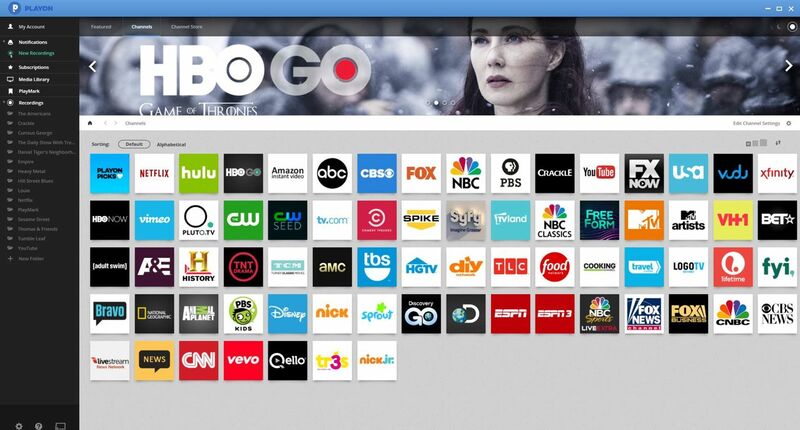 It’s also one of the few media servers that offers support for online streaming services such as Netflix and Hulu. Those wanting to access their media on the go can either use the built-in web interface or PlayOn’s dedicated mobile apps on iOS and Android. Originally based on PS3 Media Server, Universal Media Server is a DLNA media server that has evolved into a project focusing on stability and file compatibility. This focus on stability and compatibility makes Universal Media Server the best open source media server available. For those wanting an open-source option, Universal Media Server offers a number of remarkable features such as a web interface and subtitle integration. Plex is well-known in the HTPC circles for its cross-platform compatibility, wide range of supported devices and ease-of setup. 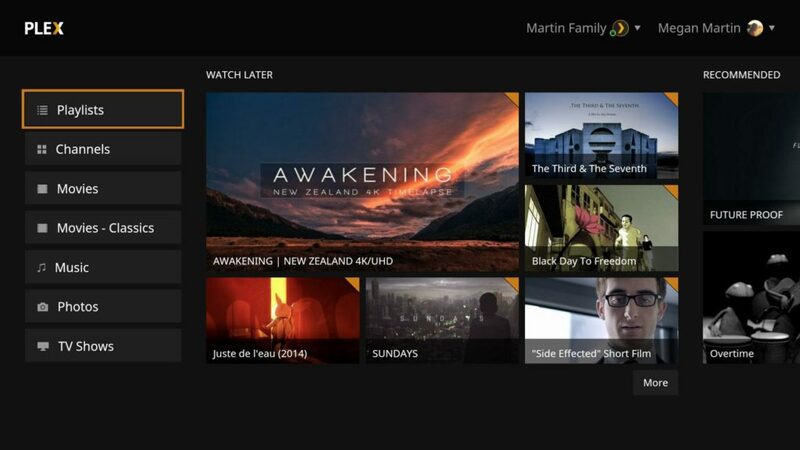 Plex is actually based on our favorite frontend Kodi/XBMC but has added a number of additional features such as a separate client/server setup, transcoding and metadata processing. Its comprehensive set of features has made it one of the most popular media servers out there. Best of all, its free to share media on your local network, with Plex offering a paid Plex Pass to enable additional features such as cloud streaming and media syncing. Serviio is a Java-based DLNA media server. Like the other home media servers in this list, Serviio lets you to stream your media files to DLNA-compliant devices on your home network. There is also a paid Pro edition which enables additional features such as a web-based media player, support for the ServiiGo Android app for streaming media and more. Emby Server is a relatively new DLNA media server that’s rapidly growing in popularity. With an impressively comprehensive set of features including Live TV support, media management, and cloud sync, it’s not hard to see why Emby made my best home media center list. However, like Plex, some of these features are locked behind a paid Emby Premiere licence that may put off some. Some users have complained about buggy releases though an active community is seeing this improving with each release. Originally written for the PlayStation 3, PS3 Media Server has been expanded to support a range of other DLNA-compliant media devices such as TVs and smartphones. Choosing media server is like choosing any other gadget or software. The best media center software is heavily dependent on what features you’re after. What type of media will you be using the most (e.g. videos or music)? What devices will you be using for streaming media? How complicated do you want it to be? Whilst some home media servers are built for specific types of media, most users will want a media server that handles videos, music and photos for maximum flexibility. Similarly, it’s important to be aware what devices you’ll be streaming media to as not all media servers offer high compatibility. Lastly, you’ll need to decide how much fiddling are you willing to do. Do you want media server software that’s set and forget or do you want something to tinker with? The best DLNA media servers follow the DLNA protocol carefully for maximum compatibility. 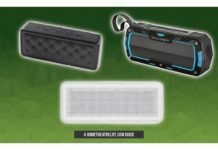 This means it should offer excellent compatibility with a wide range of DLNA-compatible devices including game consoles, Bluray players and Android TV boxes. Whilst most video files are provided in a handful of popular formats like MP4, you’ll always come across at least one video encoded in a weird format. When looking for media server software, you’ll want to ensure it offers support for a wide range of video formats to ensure it’ll handle everything you throw at it. Furthermore, you’ll want the media server to be able to stream not only video, but also music and photos for maximum flexibility. Sometimes you’ll end up in situations where your device doesn’t support the video format that you’re wanting to stream. This is where transcoding steps in, re-encoding your media files on-the-fly into a compatible format your streaming media player can play. 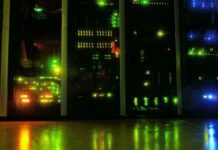 Real-time transcoding is a relatively demanding task so you’ll want to ensure the NAS or PC you’re using to host your media server has enough grunt to handle it. Some media servers also offer ahead-of-time transcoding, allowing you to pre-prepare compatible videos and reduce the demands on your system. You know when you fire up Kodi and it displays things like movie posters, plot summaries and more? That’s metadata – bits of information about the media files that some media servers will store to enhance your experience. 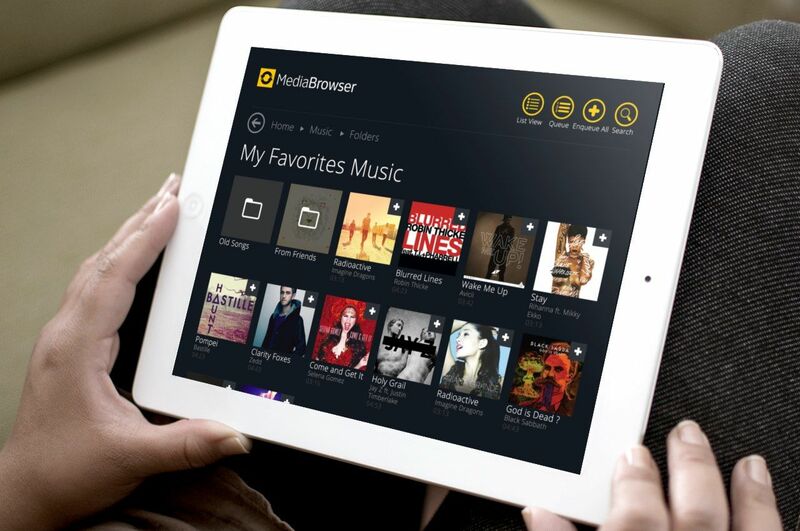 Some media servers like PlayOn and Plex offer built-in metadata collection (known as scraping) so you’ll get an enhanced multimedia experience when using compatible apps. 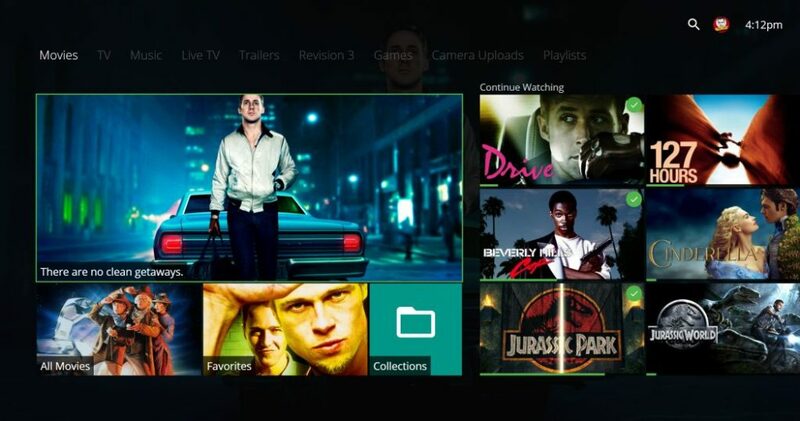 Some media servers like PlayOn will allow you to stream live TV or connect to streaming services and allow you to record them so you can watch them later. Home media server software has long outgrown being simple software that just lets you stream movies and music using DLNA devices. When deciding on home media software, if you don’t have a dedicated DLNA media player like an Android TV box, take note of DLNA servers that offer a web interface or dedicated mobile apps like PlayOn Media Server which can make accessing your media so much easier. We’ve listed 5 great DLNA media servers that are ideal for streaming media around your home. However, finding the best DLNA server software for your needs really depends on the functionality you’re after. PlayOn offers an impressive set of features, even allowing you to stream premium content from the likes of Netflix around your house. However, those on a tight budget or who only have local features could opt for some of the other DLNA media servers listed. Have a favorite? Got a suggestion that I’ve missed? Let me know in the comments below! Michael is a technology expert with over 10 years of experience in IT, Home Theatre and Automation. Feel free to send Michael a message here. Bagsmart Pomona Electronic Organizer Review: Is It Worth It? Beelink GT1 Mini Review: Is This Android TV Box Worth It? Merging Technology and Media. Simply. 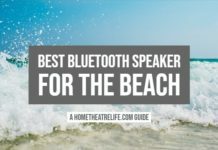 Home Theatre Life aims to provide you with the latest gadget reviews, news and guides.